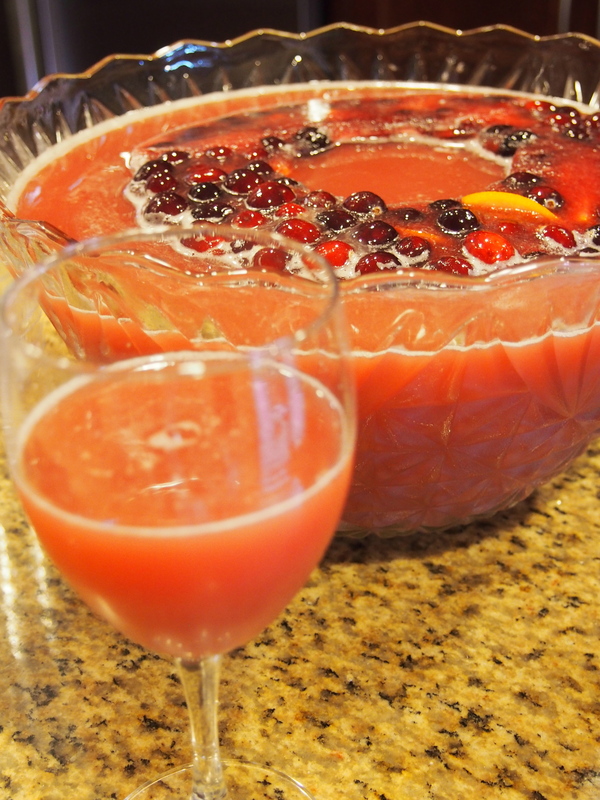 Here is a holiday punch (yes it is alcoholic) that my family made for thanksgiving but would do great for all those festivities quickly approaching….it was a sure hit! My cousin was literally taking home an empty water bottle of the punch home because she couldn’t see the rest being wasted- too cute. 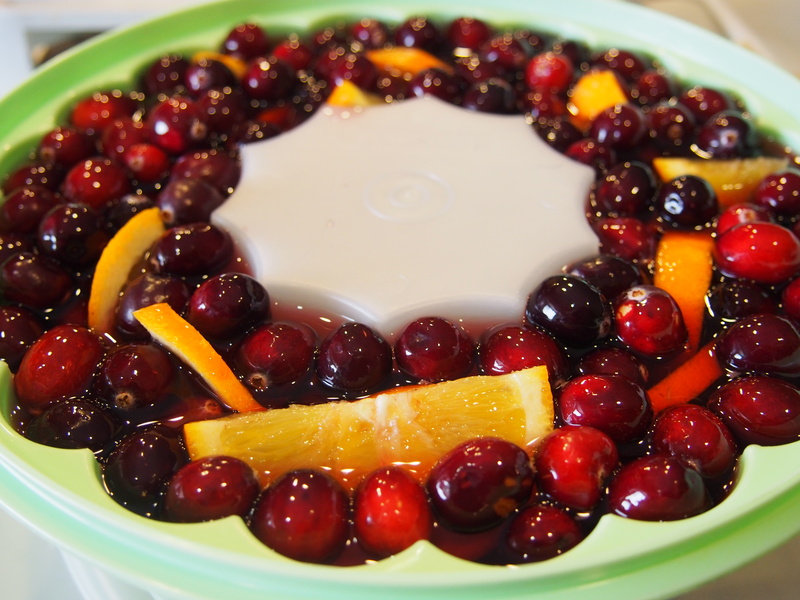 Party tip- use a jello mold as your ice ring- but instead of using water which will melt and dilute your punch, the day before make an ice ring of cranberry juice and float festive fruit slices and cranberries so when it melts guests will find them a’ float in their cups. 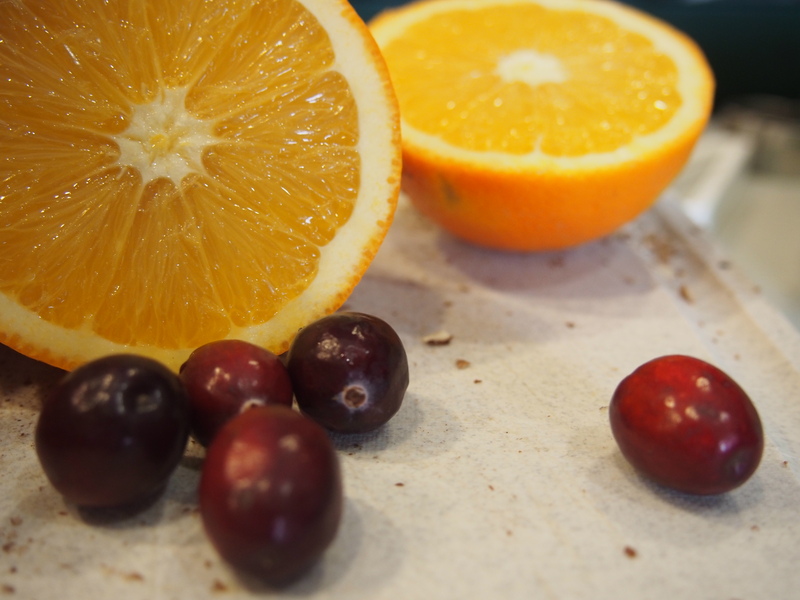 Cheers to good times and happy holidays coming your way!